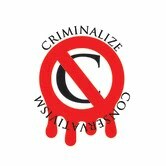 Criminalize Conservatism: Conservatives' Last Stand In Dixie? 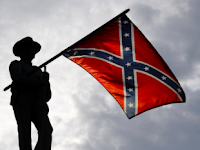 Conservatives' Last Stand In Dixie? "In understanding the polarization and paralysis that afflict national politics in the United States, it is a mistake to think in terms of left and right. The appropriate directions are North and South. To be specific, the long, drawn-out, agonizing identity crisis of white Southerners is having effects that reverberate throughout our federal union. The transmission mechanism is the Republican Party, an originally Northern party that has now replaced the Southern wing of the Democratic Party as the vehicle for the dwindling white Southern tribe. "The salient fact to bear in mind is that the historical experience of the white South in many ways is the opposite of the experience of the rest of the country. "Mainstream American history, from the point of view of the white majority in the Northeast, Midwest and West Coast, is a story of military successes. The British are defeated, ensuring national independence. The Confederates are defeated, ensuring national unity. And in the 20th century the Axis and Soviet empires are defeated, ensuring (it is hoped) a free world. "The white Southern narrative — at least in the dominant Southern conservative version — is one of defeat after defeat. First the attempt of white Southerners to create a new nation in which they can be the majority was defeated by the U.S. Army during the Civil War. Doomed to be a perpetual minority in a continental American nation-state, white Southerners managed for a century to create their own state-within-a-state, in which they could collectively lord it over the other major group in the region, African-Americans. But Southern apartheid was shattered by the second defeat, the Civil Rights revolution, which like the Civil War and Reconstruction was symbolized by the dispatching of federal troops to the South. The American patriotism of the white Southerner is therefore deeply problematic. Some opt for jingoistic hyper-Americanism (the lady protesteth too much, methinks) while a shrinking but significant minority prefer the Stars and Bars to the Stars and Stripes. 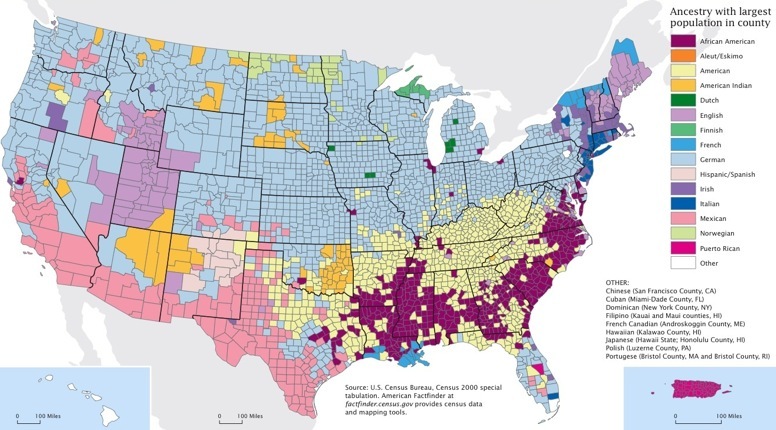 "While the melting pot story involves a good deal of idealization, it is based on demographic fact in the large areas of the North where old-stock Anglo-Americans are commingled with German-Americans, Polish-Americans and Irish-Americans, along with more recent immigrant diasporas from Latin America, Asia, the Middle East and Africa. "But even before the recent wave of immigration from sources other than Europe, the melting pot never included most of the white South. From the early 19th century until the late 20th, the South attracted relatively few immigrants. Who wanted to move to a backward, rural, apartheid society dominated by an oligarchy of a few rich families? Apart from several encapsulated minorities — Cajuns in Louisiana, Germans in central Texas — most white Southerners remained descendants of colonial-era immigrants from the British Isles, chiefly English and Scots-Irish. 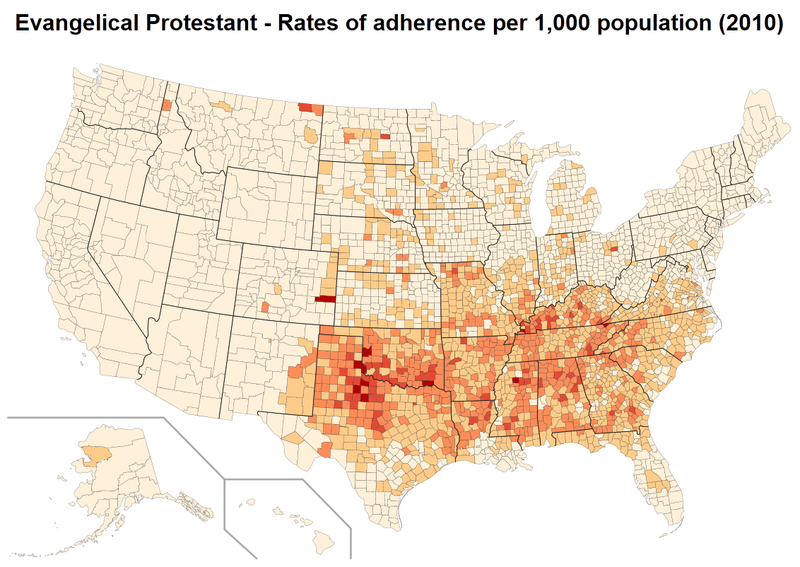 And while Irish and German Catholics and Jews diversified the religious landscape of the North, the South was dominated by British-derived Protestant sects like the Episcopalians, Baptists and Methodists from Virginia to Oklahoma and Texas." "It is clear from the map that most self-described unhyphenated 'Americans' are, in fact, whites of British descent — many if not most of them descendants of the Scots-Irish diaspora that emigrated from Ulster to the British colonies in the 1700s. The point is that many white Southerners do not think of themselves as having any 'ethnicity' at all. Others — German-Americans, Irish-Americans, Italian-Americans, Jewish-Americans, Mexican-Americans, Chinese-Americans — are hyphenated Americans. White Southerners tend to see themselves as 'pure' Americans, 'real' Americans, 'normal' Americans. Long after Mayflower descendants were submerged by waves of European migration in New England, large regions of the white South remain the last places in the country where local majorities can trace their family ancestry back to before 1776 in British America. "...outsiders should try to imagine the world as viewed by conservative white Southerners, who think they are the real Americans — that is, old-stock British-Americans — and the adherents of the true religion, evangelical Protestantism. In this perspective, the rest of the country was taken over by invading hordes of Germans, Irish and other European tribes in the first half of the 19th century, leaving the South, largely unaffected by European immigration, as the last besieged pocket of old-stock British-Americans, sharing parts of their territory with subjugated and segregated African-Americans. 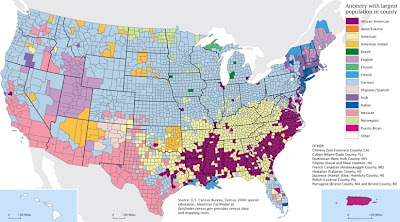 "This local British-American ethno-racial hegemony in the South was eroded somewhat by the migration of Northeasterners and Midwesterners to the Sun Belt following World War II and the advent of air-conditioning. And now, predominantly nonwhite immigration from Latin America and Asia threatens to make white Southerners of British Protestant descent a minority in their own region. Texas and Florida are already majority-minority states. It is only a matter of time before the same is true of every state in the South. 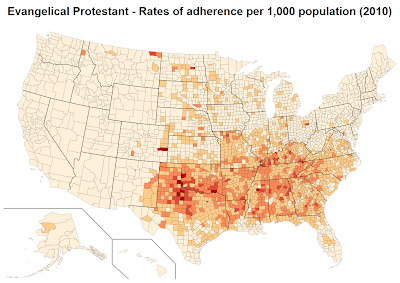 Southern whites will go from being a minority in the nation as a whole to a minority in the South itself. "If Southern culture had a tradition of assimilating immigrants, then cultural 'Southernness' could be detached from any particular ethnicity or race. 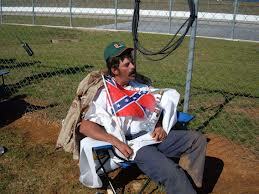 One could be an assimilated Chinese-American good old boy or a Mexican-American redneck. To some degree, that is happening. 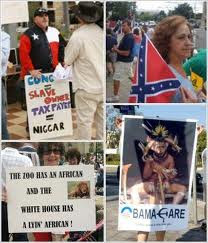 And Southern whites and Southern blacks have always shared many elements of a common regional culture. "But it is difficult, if not impossible, for many white Southerners to disentangle regional culture (Southern) from race (white) and ethnicity (British Protestant). The historical memory of white Southerners is not of ethnic coexistence and melting-pot pluralism but of ethnic homogeneity and racial privilege. Small wonder that going from the status of local Herrenvolk to local minority in only a generation or two is causing much of the white South to freak out. "The demographic demise of the white South is going to be traumatic for the nation as a whole. A century ago, when European immigration made old-stock Yankee Protestants a minority in much of the Northeast and Midwest, one response was hysterical Anglo-American nativism. In a 1921 essay in Good Housekeeping titled 'Whose Country Is This?,' then Vice President Calvin Coolidge, an old-stock Yankee from Vermont, explained: 'Biological laws tell us that certain divergent people will not mix or blend. The Nordics propagate themselves successfully. With other races, the outcome shows deterioration on both sides.' Patrician Yankees promoted immigration restriction to prevent 'inferior' European races from further contaminating America. Some eminent Americans of New England descent, including Henry James, T.S. Eliot and Ezra Pound, all of them nasty anti-Semites, took the extreme step of expatriating themselves. James and Eliot became British subjects and Pound made anti-American broadcasts for Mussolini during World War II. "By the 1970s, the social divisions among old-stock Anglo-Americans and the 'white ethnics' had faded to the point that most white Americans in the North had ancestors from several Western European nationalities. Similarly, the trans-racial melting pot in the U.S. will probably blur or erase many of today’s racial differences by the middle of the 21st century. "But the old-stock Yankees in the Northeast and Midwest did not accept their diminished status in their own regions without decades of hysteria and aggression and political gerrymandering. The third and final defeat of the white South, its demographic defeat, is likely to be equally prolonged and turbulent. Fasten your seat belts." Clearly, the white Southerner has become a hypnotic subject for Northern Conservatives, doing the bidding of the Northern White Folk' who look just like them. 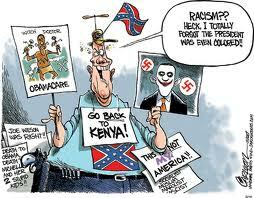 And that support by the white South has been the foundation of the Conservative movement during the past century. The Southern experience as the home of American Conservatism prevails today, as "the melting pot never included most of the white South." The American experience should be one of democratic progress, not Conservative activism prompted by a criminally-tarnished "philosophy," the steering of the world to extreme Conservatism: the New American Feudalism. If "it is a mistake to think in terms of left and right. The appropriate directions are North and South," then the rooting out of Conservative capos and their sheeplets should begin in the South; if the South escaped the experience of the American Melting Pot, then a program of re-education is even more important than new gun laws. Today the South, tomorrow the Nation. "The romantic embrace can only be compared with music and with prayer."